On our last episode as 1Ls (you have no idea how nice it feels to say that), Emily takes us on a wild ride back to WWII. The 1940's were full of Italians in leather (yep--you read that right), German sabotage schools, and vintage terrorism. Do foreign terrorists have the right to be tried in our civil courts? This foundational case has the answer--amidst a bunch of belly-laughs. We want to thank you all for listening this season and for your continual support of our ... Más informaciones new-found hobby and much-needed distraction from school. 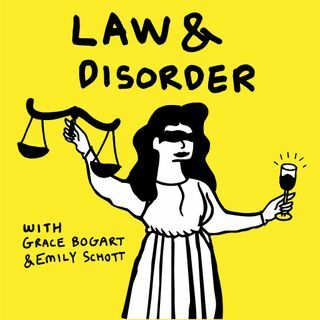 Recording Law & Disorder has been a BLAST! Auf Wiedersehen!